Capitation – An Answer for our GP Shortage? News from the UK dealing with over reach in advice to pregnant women. SAINT GORAN’S hospital is one of the glories of the Swedish welfare state. It is also a laboratory for applying business principles to the public sector. The hospital is run by a private company, Capio, which in turn is run by a consortium of private-equity funds, including Nordic Capital and Apax Partners. The doctors and nurses are Capio employees, answerable to a boss and a board. Doctors talk enthusiastically about “the Toyota model of production” and “harnessing innovation” to cut costs. Why are Alberta doctors getting the short end of the stick? In her “A GP for Me” plan, Health Minister Margaret MacDiarmid is promising an extra $100 million for 176,000 new patients. That works out to $568 per year per new patient, which would pay for a simple GP office visit about every three weeks for an average patient, one per month for the frail, or one visit every six weeks for complex or pregnant patients. I once heard a wise man say that governments are always wrong when making economic predictions. The questions to consider are by how much, and in what direction? 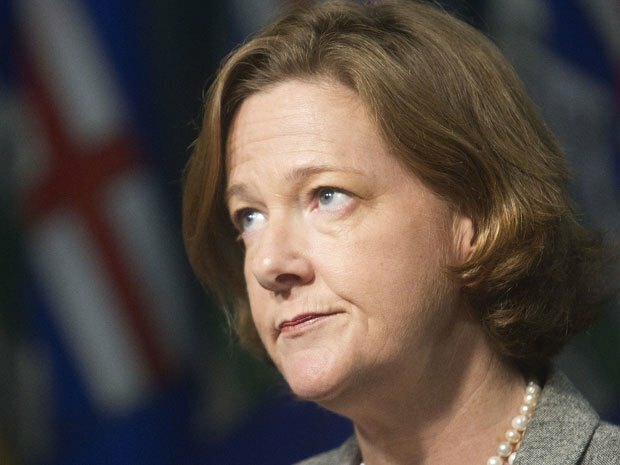 That the Government of Alberta was wrong in its economic predictions should therefore not be big news. But they were wrong by lots and widely in the wrong direction. Alberta was predicting averages around $99 a barrel for the past year. But it was not that prediction that got them in trouble, now facing a likely deficit near the $6 billion mark. It appears to be the failure to account for the rising price differential –the difference between market prices and the bargain basement price Alberta needs to sell its oil to the United States because of our lack of pipeline capacity to deliver to markets. It’s what the premier called a “bitumen bubble.” The price differential is not new, and for more than a year, economists were predicting a larger gap unless greater capacity to carry oil to market were developed. The core of the problem lies elsewhere, whatever the premier says: Two successive Alberta governments for close to a decade have now been unable to balance their budgets at times when oil revenue was riding high. When money abounds and one still runs out of it, it is a clear indication that the problem is not revenue. The problem is spending. Jack Mintz from the School of Public Policy and other keen observers had predicted that we would be at this precise junction around this time. Keep spending more than you have while you bridge gap with a supply of money the flow of which you cannot control, and it is not difficult to see that when the gap-closing supply goes down so does your ability to keep spending in the same undisciplined way. And down that hole we now go, raising the spectre of budget cuts and higher taxes. Not quite a cliff, as a friend of mine joked, but surely a Buffalo jump. Yet, the government is still not facing reality for all the reality facing it. In her televised address last week, the premier keeps promising not to raise taxes, and not to reduce the budget lines of the two largest spending departments, healthcare and education, to deal with the $6 billion gap. Fair enough, but the promise to start putting savings into the Heritage Fund quickly gave her talk a hue of unreality.